Ultimate Currency Exchange provides the most competitive rates. 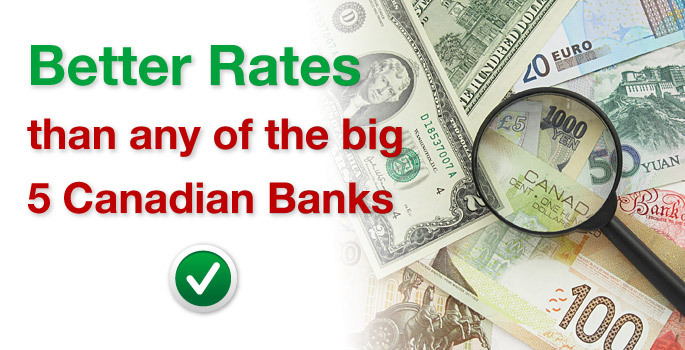 Our rate is always better than any other Canadian banks and competes with the other currency exchanges. 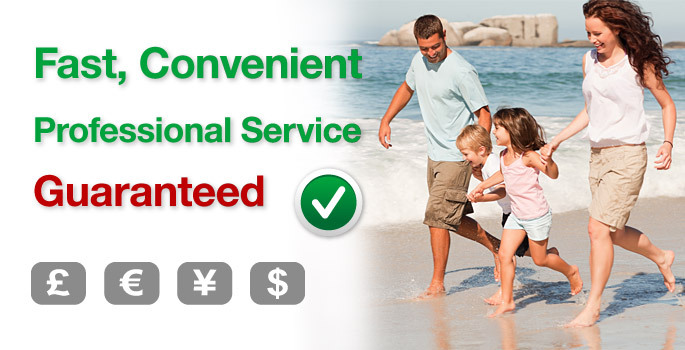 Ultimate Currency Exchange staff provide you a convenient, professional and hassle free currency exchange service in the fastest possible time. No commission fee. Exchange one dollar or $10,000, in any case still we would provide the same best service and asking no commission fee. Saturday, April 20, 2019: Ottawa Carling Branch and Toronto Branch are open as usual, Ottawa Downtown and East branches are closed. Easter Monday, April 22, 2019: All branches are open as usual. Oct 2018 - On October 10, the UCE team was happy to announce the opening of a new branch in the east end of Ottawa. Now, our customers from eastern Ottawa don't have to commute to our downtown or Carling avenue branches to exchange their foreign currency. The new branch is located in the Gloucester Centre, next to the Blair bus station and the future location of the LRT east station. Once the new Confederation Line is running it will be easy to stop in and get your foreign currency exchanged there from anywhere in Ottawa. For more information about the address and operating hours of our branches, please Click here. May 2017 - We moved to a new location. The new branch of Ultimate Currency Exchange is now open at 2573 Carling Ave. (Accu-Rate Plaza). At this branch UCE provides the same service of exchanging of more than 90 foreign currencies similar to the other UCE branches. For more information about the address and operating hours of our branches, please Click here. Note our previous branch at 2255 Carling Ave (Woodroffe and Carling) is permanently closed. May 2016 - On May 2, UCE team was exited to celebrate the grand opening of our new branch in Midtown Toronto, Yonge and Eglinton. 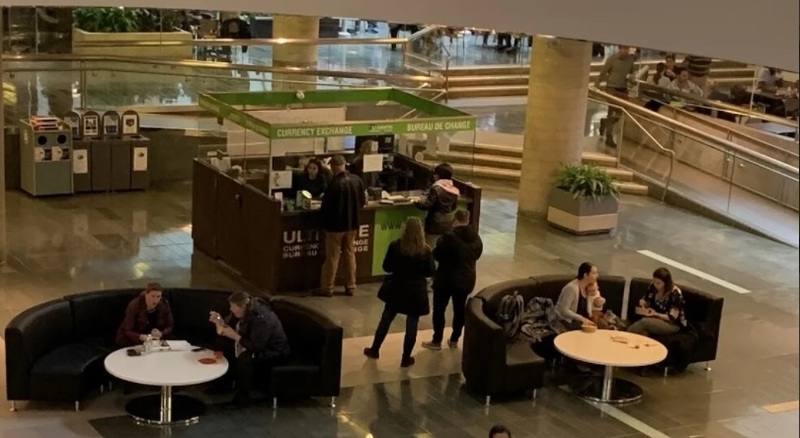 After having two successful branches in Ottawa, now UCE has been expanded out of the nation capital and entered to the bigger market of Greater Toronto Area. Now, Torontonians also have a chance to enjoy of our low foreign exchange rate and high customer service in Toronto area. For more information about the address and operating hours of our branches, please Click here. May 2015 - Ultimate Currency Exchange announces the launch of an innovative online service. Through this new online system, everyone in Canada will now have access to the same competitive rates and services, right from the comfort of their home. Breaking traditional geographical boundaries, this new online service will allow customers from anywhere in Canada to order foreign currency online, and have it conveniently delivered to their home. UCE promises competitive exchange rates, beating the major banks' posted rates; a promise they have always kept. Click here for more information. April 2015 - Ultimate Currency Exchange recently went through the process of becoming accredited by the Better Business Bureau, and we are proud to say that we received an A+ rating. We are honoured to be a member of such a venerable association. Click here for more information on our accreditation and rating with BBB. Great offers on more than 90 foreign currencies!